Free Health Care Program Serving as a Safety Net for Region’s Most Vulnerable Kids. HOOD RIVER, Ore., July 24, 2017 – With summer in full swing and kids out of school, it’s the perfect opportunity for parents to schedule in time to address their child’s health care. And thanks to a special 12-month program available through December, free primary care is currently accessible and available to the most vulnerable youth in the Columbia River Gorge Region. Called I’m healthy! (¡Soy sano! 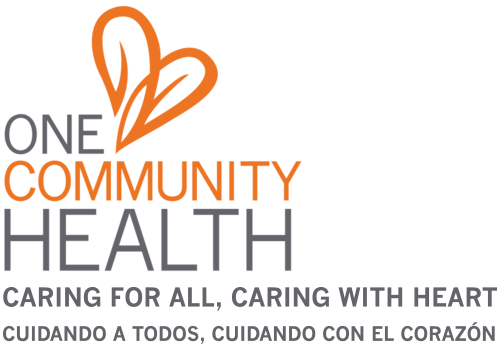 in Spanish), this Oregon Health Authority grant-funded program uniquely supports children and teens under the age of 19 who do not qualify for full Oregon Health Plan benefits or Qualified Health Plans. It’s being offered at One Community Health (OCH) locations in both Hood River and The Dalles. In addition, OCH is partnered with The Next Door, which is helping communicate the program availability. It is handling outreach to the population of children and teens that the program benefits and providing referrals to OCH for services. “Communities are stronger when every child has the right to grow up healthy. Kids are kids, and no child deserves to suffer,” says Liliana Lachino, community health worker at The Next Door. Those who qualify for I’m healthy! receive physical, dental, mental, behavioral and enabling services (such as transportation support and perinatal care) through OCH at no-cost. Services such as referrals and/or orders for labs, imaging, specialty services, and medications are not available through I’m healthy! While I’m healthy! runs through Dec. 31, 2017, the goal of the program goes far beyond serving these youth in the short term. Once these patients are seen by OCH, the health center can now become their established home for ongoing, affordable primary and preventive health care, helping ensure greater wellness over the years to come. That said, Oregon Governor Kate Brown is soon expected to sign “Cover All Kids” (SB 558), a bill that gives all children in Oregon the same access to health care. Once law, SB 558—which was passed by Oregon’s legislature in July—will extend health care coverage through the Oregon Health Plan to all children in Oregon up to 300 percent of the federal poverty level. It will also ensure outreach is conducted in culturally and linguistically sensitive ways so to maximize enrollment. Under “Cover All Kids,” an estimated 17,000 additional Oregon children will have access to health care. For more information, contact: Lynne Frost, 541.386.6380.